The Cuisinart DFP-14BKSY is made from sleek brushed stainless steel, this sleek kitchen workhorse is a breeze to use and will whir through prep and cooking with ease. Whether you are making a weeknight meal or a weekend celebration, the large capacity work bowl will hold everything as the 720watt motor makes quick work chopping whole fruits and vegetables, shredding cheese, or kneading dough. 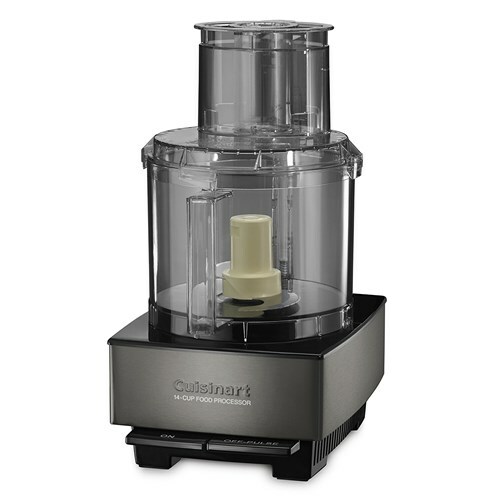 The Cuisinart DFP-14BKSY has many exciting features for users of all types. 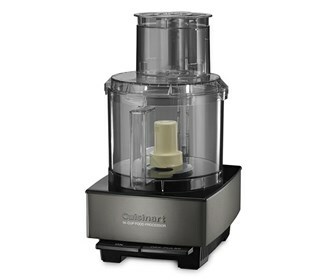 See the Cuisinart DFP-14BKSY gallery images above for more product views. The Cuisinart DFP-14BKSY is sold as a Brand New Unopened Item.